My monthly market valuation updates have long had the same conclusion: US stock indexes are significantly overvalued, which suggests cautious expectations on investment returns. In a “normal” market environment — one with normal business cycles, Federal Reserve policy, interest rates and inflation — current valuation levels would be a serious concern. But these are different times. The economic cycle shaped by the Financial Crisis that began emerging in 2007 shortly after the Bear Stearns hedge funds collapsed. The Fed began is historic crusade in cutting the overnight rate from an average of 5.25% prior to the hedge fund collapse to ZIRP (Zero Interest Rate Policy) as of December 16, 2008. The bankruptcy of Lehman Brothers on September 15, 2008 was the most dramatic precipitator of the Fed’s unprecedented policies. In the wake of the Financial Crisis, inflation has been low and 10-year Treasury yield is hovering about 30 basis points above historic closing low of 1.43% set on July 25th. So, with this refresher on the Financial Crisis in mind, let’s take another look at the popular P/E10 valuation metric. Here is a scatter graph with the market valuation on the vertical axis and interest rates on the horizontal axis. I’ve included some key highlights: 1) the extreme overvaluation of the Tech Bubble, 2) the valuations since the start of last recession, 3) the average P/E10 and 4) where we are today. The inflation “sweet spot”, the range that has supported the highest valuations, is approximately between 1.4% and 3%. For example I’ve highlighted the extreme valuations associated with the Tech Bubble arbitrarily as a P/E10 at 30 and higher. The chronology of the orange “bubble” on the chart is a clockwise loop of 56 months starting at the 6 o’clock position. 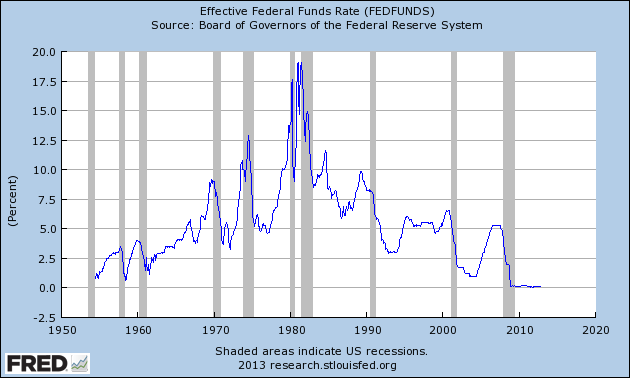 The P/E10 was 31.3 and the annual inflation rate for that month, June 1997, was 2.30%. The average inflation rate for the loop was 2.41%. The P/E10 peak of 44.2 in December 1999 was accompanied by a 2.68% annual inflation rate. Two months later the inflation rate topped 3% at 3.22%. The right side of the loop shows what happened thereafter. The ratio slipped below 30 for two months (the tail at the bottom of the loop) before its final three-month swan song in the 30+ range. The latest P/10 valuation of 21.3 is at the 58th percentile of valuations in the 1.4%-to-3% inflation sweet spot. If we exclude Tech Bubble P/E10 valuations above 30 on the grounds of temporary insanity (“Irrational Exuberance”), the percentile of the latest valuation moves up to the 65th. And speaking of that 30 threshold for the P/E10, prior to the Tech Bubble, only two months in history had a ratio above 30: They were 31.5 and 32.6 in August and September of 1929, just before the Crash of 1929. Research estimates put the annual inflation rate during those two months at 1.17% and 0.00%. A question I’m often asked is whether a valuation metric such as the P/E10 has any merit in a world with Treasury yields at current levels. Investors who require portfolio growth might indeed be motivated to disregard historic indicators that warn of an overvalued market. But what does history show us about the correlation between the P/E10 and the 10-year constant maturity yield? The next scatter graph offers some clues. The horizontal axis has been switched to the 10-year yield. Essentially we are in “uncharted” territory. Never in history have we had 20+ P/E10 ratios with inflation in the low 2% and lower range. The closest we ever came to this in US history was a seven-month period from October 1936 to April 1937. During that timeframe the 10-year yield averaged 2.67%, amost 100 basis points above where we are now. How did the market fare? The S&P Composite hit an interim high (based on monthly averages of daily closes) in February 1937. The index plunged 44.9% over the next 15 months. If we look to the Dow daily closes during that period, the index hit an interim high on March 3, 1937 and fell 49.1% to an interim trough on March 31, 1938 — 13 months later. What can we conclude? As I said above, we’re in “uncharted” territory. Fed easing will probably keep yields in the basement for a prolonged period, thus promoting a risk-on skew to investment strategies despite their weak fundamentals. On the other hand, we could see a strongly negative market reaction to more bungling of US debt management. We could also see exogenous shocks from the euro zone, Asia or the Middle East that could give investors second thoughts about equities. Yet another possibility is that economic improvements abroad could make international markets more attractive than US equities. To support my characterization of the current Effective Federal Funds Rate as “unprecedented”, here is a snapshot of the complete FFR history from the FRED repository.